If you have a large, mature palm tree in your yard, you may be able to sell it for a profit. 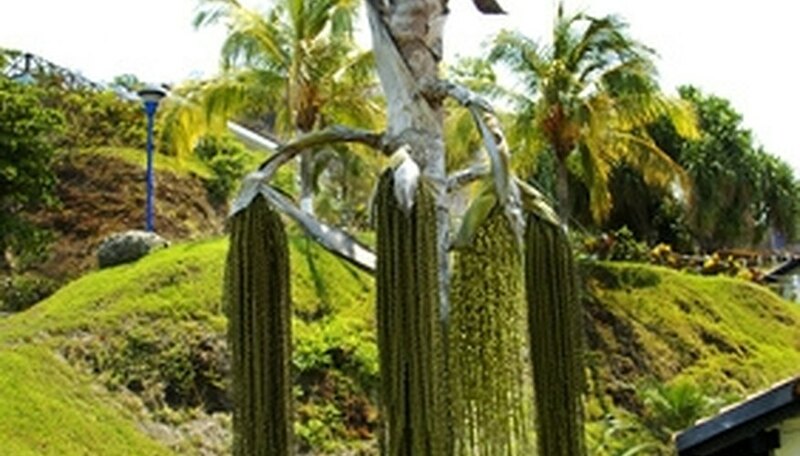 If you have the common variety of Mexican fan palm, you probably won't make a profit after you pay a nursery or palm digger to dig it up; however, some varieties of palms are very expensive---worth hundreds to thousands of dollars. Do the necessary research before you start digging to ensure you will make a profit---and do so legally and safely. Check with your local zoning board to find out whether you can legally remove large trees in your area. Examine the vicinity of your large palm to see whether it is near any public utility wires. If so, do not move it because of the risk to life and limb if that tree accidentally falls and takes down a wire; select a different tree on your property. Call your local nursery or use online resources to identify what type of palm you have and how much it retails for. Use these resources to locate a local palm digger and find out how much it will cost you to have the palm dug up and moved to a new location. Advertise and let people know by word of mouth that you have a palm for sale. Start by placing a free ad on a site such as craigslist (see link in Resources section). Hire the palm digger once you have a buyer and complete the transaction. If you have a landscaping business or are considering starting one, you often can get palms and other plants for free when you landscape a client's yard, as part of your service often includes removing old plants and planting new ones. Don't expect to get a retail price for your palm; subtract the cost of digging it up and moving it from your asking price.